Brasov is one of the most popular cities in Romania and it is excellent for one-day trips into the beautiful region of the Southern Carpathian Mountains. 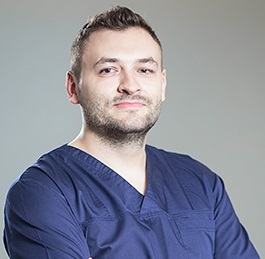 It is easily accessible from Bucharest by car or train and dental patients who visit Romania for dental treatments abroad can visit Brasov to have a quick look at beautiful landscape, a welcoming city and Transylvanian cuisine. If you travel roughly 170 km away from Bucharest you arrive at the gates of a beautiful medieval city surrounded on three sides by mountains: Brasov or Kronstadt in German. Together with Sibiu, it was one of the walled citadels of the country. The city maintained its medieval charm but at the same time it exudes a modern vibe. Brasov is popular for its scenery and the surrounding mountain resorts on the Prahova Valley, like Sinaia, are among the most visited towns in the country, especially in winter. The city has several important landmarks and its architecture binds beautifully with the surrounding mountains and forests. The Black Church is located in the city center and it is a wonderful preserve of medieval history. This medieval Roman Catholic Church has a Gothic style and was built by the German community living in Brasov and was finished around 1444. Tampa is the iconic mountain overlooking the city. Nowadays it holds a Hollywood-style inscription with the city’s name and it is easily accessible by cable car. From there tourists can enjoy a panoramic view over the city. 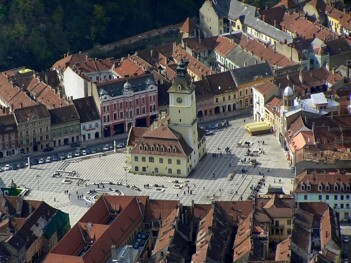 Brasov has a number of defensive fortifications that have survived to this day. They include the Graft Bastion, the White Tower, the Black Tower, the Blacksmith’s Bastion, Catherine’s Gate, Schei Gate or the Brasov Fortress (open for visitation and beautifully located on a hill). Poiana Brasov is a beloved destination during the winter season because and perfect for winter sports lovers. It includes nine ski slopes and numerous options for accommodation and recreation. History enthusiasts can also visit the Art Museum, the Town History Museum or the Ethnography Museum. Also, those who want to see even more of Romania’s beautiful medieval heritage can take a quick trip to Bran Castle. 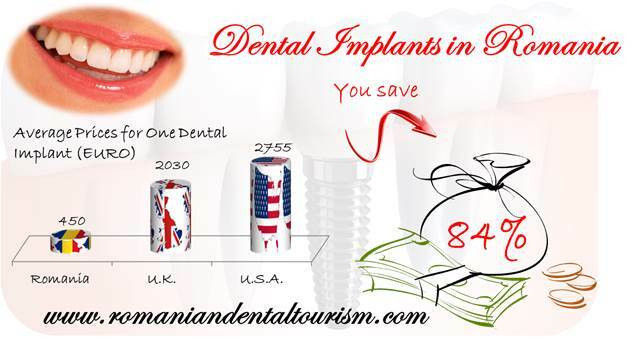 For more information about dental travel packages in Romania as well as the services offered at our dental clinic you can contact our dentists in Bucharest.